Added image shift with device specific values, if distortion is disabled. This ensures that the center of left/right images are fitting the ZEISS VR ONE optics. What is the VR ONE SDK? What can I expect from the VR ONE SDK? Wait, I can use the VR ONE SDK and sell my app without paying you a cent? When should I use VR ONE SDK? How do I use the head-tracking library natively, without Unity? What are the requirements to use the Unity package? Which smartphones are currently supported? How can I contribute to VR ONE SDK development? Why does my screen rotate? ZEISS VR ONE is a head-mounted virtual reality device, compatible with various smartphones. For more information, please go to http://zeissvrone.tumblr.com/. The VR ONE SDK is a VR SDK for Unity and aims to help developers to create great virtual reality experiences for the VR ONE head-mounted virtual reality device. For now, it supports mobile apps made with Unity3D for iOS and Android platforms. The VR ONE SDK features an open source, MIT-licensed Unity package, which provides a split sceen and/or stereo two-camera setup and applies a configurable radial and chromatic pre-distortion effect to prepare the image for optimal display in the VR ONE for various smartphone models. The SDK is currently in an experimental stage. A final release as well as the complete code base will be provided once the VR ONE becomes available for sale. You got it. The VR ONE SDK is supposed to help you jumpstart your app development. If you are a developer who aims to develop or adapt your mobile app for VR ONE with Unity, you will be able to jumpstart your Unity project by utilizing the VR ONE SDK. If you are using native development in Android or iOS, we will shortly support you with tutorials in the VR ONE wiki. Together with the VR One Unity 3D SDK, ZEISS offers a multi-sensor head tracking plugin. It is already activated by default in the VR One Unity Package, but if you wish to use your own head-tracking, you can easily deactivate it. The head-tracking plugin provided by ZEISS makes use of all the motion sensors available on your smartphone to reduce latency between head-movement and camera update as much as possible. The plugin is is provided as a .a library for iOS, and a .jar library for Android. A sample use for both the platforms can be found in the provided demo scene. void _StartCameraUpdates(); Initialiser function. Should be called once. void _GetQuaternionUpdate(float** arrayToSave); Calculates the camera rotation update, and should thus be called on continually. The parameter it receives is a pointer to the float array where the Quaternion values should be saved. As a quaternion contains four components, at the end of the function call this array contains the components ordered in x,y,z,w. This quaternion should then be directly used in the camera rotation update. It is also important to note that this library requires the use of CoreMotion.framework and SceneKit.framework, which should be added to XCode's Link Binary with Libraries Build Phases. In order to use the .jar (available here) VR One Head-Tracking library with your native Android application, simply import de.zeiss.mmd.headtracking to your project, and you can then call the public static double getRotation(Context context) function. For the calculations done internally, the function requires the context it is called from. As the head tracking is optimized for 60 fps, the function should be called approximatly 60 times per second. The double array delivered represents the four Quaternion components, ordered as x, y, z, and w.
For using the pre-distortion functionality, you need a Unity Pro license with at least a iOS or Android platform license. If you use our integrated iOS Head-Tracking, you will need to add the SceneKit framework to the [Link Binary With Libraries] Build Phase. 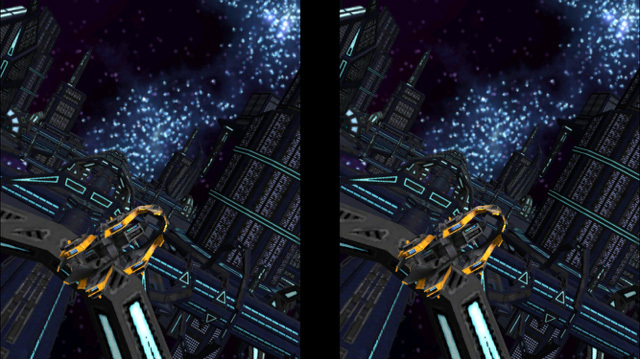 The VR One Unity SDK provides you with a menu which can be created in two diffrent ways. First By using the Menu-prefab 'MenuWithHotspot', which Zeiss recommends to be integrated into any application or creating one of your own. View recenter, to allow the user to reposition his/her head and have the view adjusted to it. Jump to VR One Media Launcher button. By allowing the user to navigate between VR apps directly through head-tracking accessible buttons, the VR One aims provide a consistent virtual reality experience across all the supported apps. In the demo scene you can see a basic menu set up with a recenter icon and the jump to launcher icon. You can create your own menu by using the MenuWithHotspot.prefab. Open the MainMenu GameObject in the Inspector and increase the Size value under "Rows->Element0->Icons" to fit your needs. The desired script to be executed for a specific menu element, has to be added to the related Callback Component. The VR ONE SDK will work with the following smartphone models. Important note: Compatibility is being extended in future. This list is being updated accordingly. When your game targets iPhone use Unity 4.5.4p1 or later. In your PlayerSettings configuration provide all required launch images so that project will run at full resolution. Also set Target Device to iPhone only. The <vronesdk.unitypackage> can simply be dragged into an empty Unity project and the the scene in the Demo/Scenes folder can be opened. This will setup the VROneSDK and a Scene with a spinning cube and three lights. Download the <vronesdk.unitypackage> and drag it into your Unity project. The <vronesdk.unitypackage> provides the VROneSDK prefab in the VROneSDK folder. The VR ONE SDK is intended to replace the cameras in your scene. Drag the VR ONE SDK into your scene, and remove any other camera from your scene. You can then associate the VROneSDK, the VROneSDKHead, and its attached GameObjects with your custom scripts for head tracking and gameplay. The VROne SDK requests 60fps on every device. Additionally interface orientation in Unity should be set to landscape left. The camera view can be adjusted through the VROneSDK singleton. By simply getting ahold of the shared instance and setting the IPD to the preferred value. A value of zero (0) would indicate that both cameras are on top of each other and are rendering the identical image (e.g. mono). Increasing the IPD value results in a stereo image with increasing distance between the eyes. would set the IPD to 0.065 and result in a stereo view (the two images are rendered from slightly differing viewports). to disable splitting the view and present a regular screen to the user. Only one camera will be used for rendering the scene and no distortion will be applied. Once your game starts set this value to true and thus enable the full VROne experience for the user. 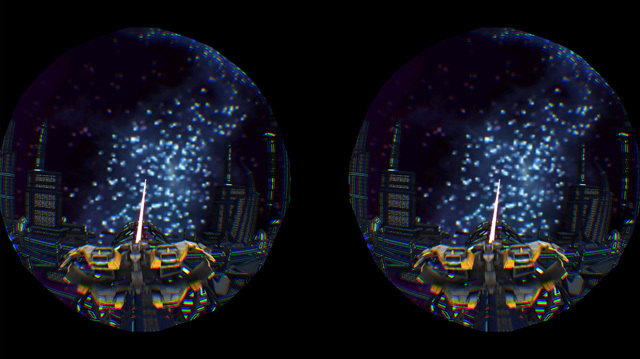 If distortion is disabled, the eye images are shifted by the device specific value A to fit the physical distance of the VR One Lenses. The values for all supported smartphones are given in VROneSDKDevice.cs. See http://developers.zeissvrone.com/img/image_shift.gif for more information. After finishing your application in Unity, you will want to export it for use with the iPhone or Android device. In Unity, simply go to File/Build Settings, select iOS or Android, and Build. For Android, that is all you need to do. For iOS, however, it is important to note that after the exported XCode file is built, it is necessary to add the SceneKit framework. To do this, select the application target in XCode, go to Build Phases, and under "Link Binary with Libraries", add SceneKit.framework. Moreover in player settings you have to set Open GL ES 3.0 as Graphics API (iOS Metal is not supported). help us to fix issues and contribute by actively developing with us. For the Samsung Galaxy S4 there's a gyro callibration which takes place at app start. To avoid a bad calibration, the smartphone has to lie still, till the app is started.